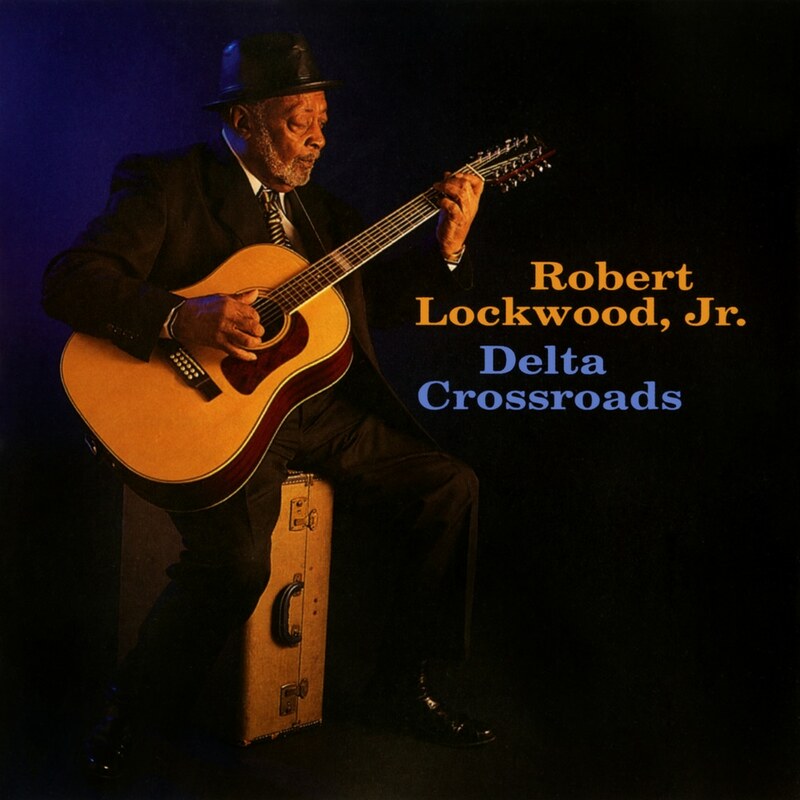 On Delta Crossroads, blues legend Robert Lockwood, Jr. performs a slate of Robert Johnson classics, along with new and old songs of his own, and several associated with other great Delta players. It’s clear when listening to Lockwood’s Telarc debut that the music has never stopped evolving, and his skill on 12-string guitar remains undiminished. Produced by Joe Harley, Lockwood’s solo performances on Delta Crossroads are heard in a completely acoustic setting and sounds emerge in their most appealingly natural state. His rich voice and solo acoustic guitar lines evoke the same musical thrill that Lockwood’s fans have enjoyed for years. Lockwood was born in 1915 in Turkey Scratch, Arkansas, just fifty years after the Civil War. His mother had a relationship with Robert Johnson (the blues icon who supposedly sold his soul to the devil at the Crossroads in order to become a master bluesman). Soon Johnson was sharing his secrets about bass lines, tone and text with his quasi-stepson. Lockwood grew up and went on to play guitar on many classic recordings and helped create what is known today as the Chicago Blues. This year Lockwood celebrated his 85th birthday. Robert Lockwood, Jr. is an uncommonly inspired blues artist whose playing comes from the heart, and Delta Crossroads is a culmination of his diverse travels.